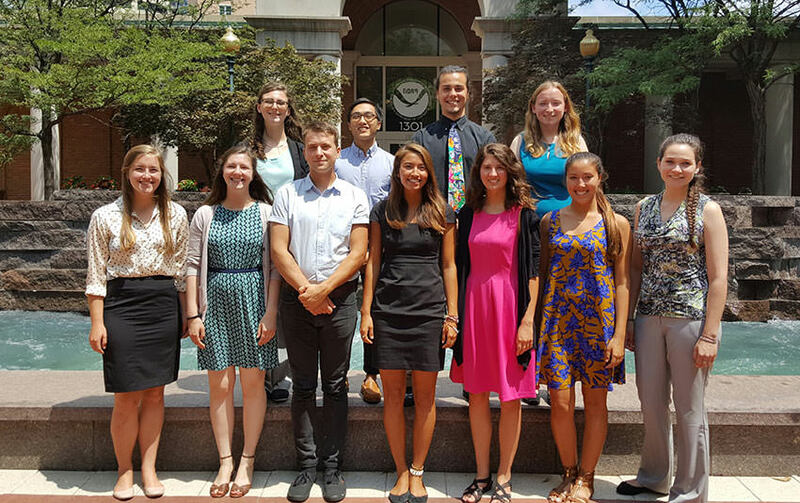 Meet the 2016 Hollings Scholars! Each year, NOAA’s Office of National Marine Sanctuaries hosts several undergraduate Hollings scholars at sites across the National Marine Sanctuary System. Working with sanctuaries, these students gain practical training experience through NOAA-related science, research, technology, policy, management and education activities. The scholarship program is designed to prepare students for careers as environmental scientists and educators, and to increase public environmental and ocean literacy. With such crucial goals, it’s no wonder that the scholarship attracts some stellar students -- and we’re excited to introduce you to this year’s cohort! Interested in becoming a Hollins Scholar in the future? Learn more about the scholarship here. A senior microbiology major at the University of Maryland, College Park, Gabe spent his summer interning at Olympic Coast National Marine Sanctuary. Mentored by George Galasso, Gabe completed literature reviews on relevant laws and regulations to determine the scope and language appropriate for the sanctuary’s maritime heritage resource management plan, which outlines the sanctuary’s procedures to identify historic resources. Gabe also drafted a policy report outlining how the sanctuary has worked with resource co-managers, including Olympic National Park, Washington State, and the Coastal Treaty Tribes, to complete the management plan. 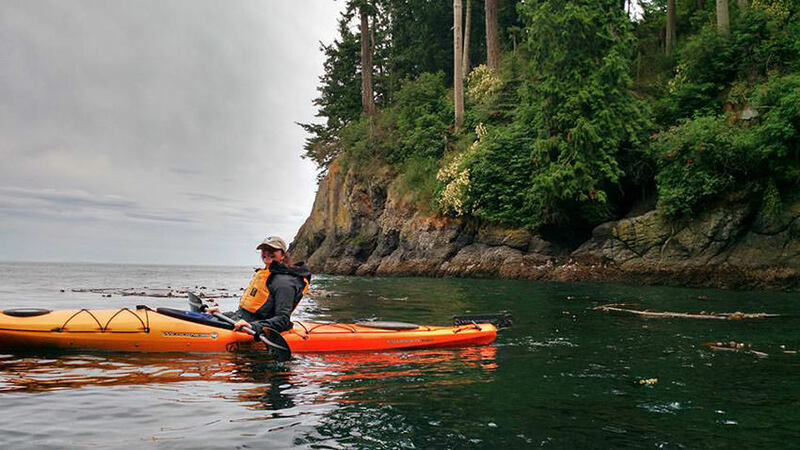 Gabe’s experiences at Olympic Coast National Marine Sanctuary supported his passion for marine resource management. He aspires to attend law school and specialize in environmental law. A senior environmental science and anthropology student at the University of South Carolina -- Columbia, Kaitlyn spent her summer at NOAA headquarters in Silver Spring, Maryland studying the theory behind how people understand and relate to the environment. She worked with her mentors, Dr. Sarah Gonyo and Dr. Theresa Goedeke, on her project “Analysis of the New Ecological Paradigm (NEP): Evidence from the Outer Coast of Washington.” Kaitlyn examined the revised-NEP scale for its validity and reliability, analyzed survey data collected from the outer coast of Washington, and made suggestions as to how to best apply the revised-NEP in future NOAA projects. This fall, Kaitlin will expand this project and conduct research during her study abroad program in Bali, Indonesia. She has proposed to use the revised-NEP scale in her study to investigate how Balinese populations view the environment. Daniel is an environmental science major at the University of Rhode Island with an interest in wildlife conservation and environmental economics. 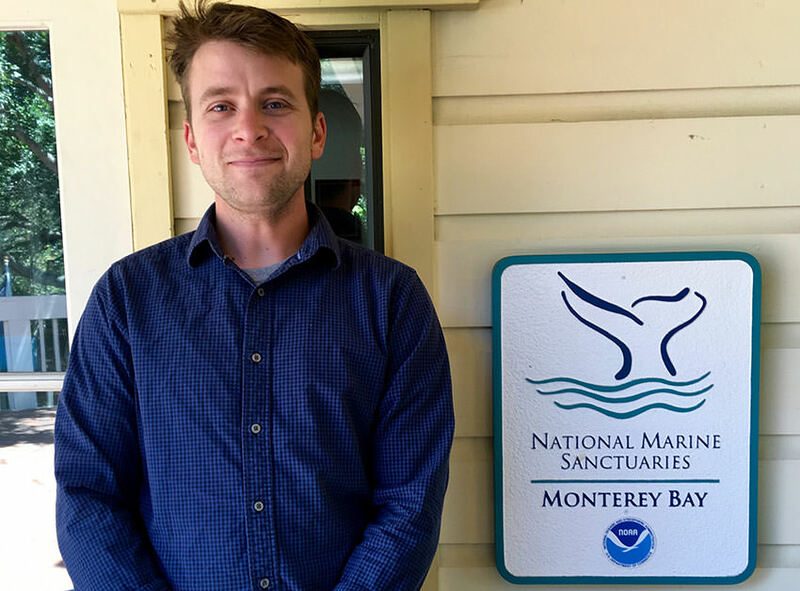 This summer, he worked with Monterey Bay National Marine Sanctuary to conduct a survey among businesses that operate wildlife viewing tours within the sanctuary. Daniel collected demographic, economic and spatial data, as well as the opinions of tour operators regarding wildlife management within the sanctuary. The findings of this survey will provide previously unavailable socioeconomic data that will help guide the revision of the Monterey Bay National Marine Sanctuary management plan. 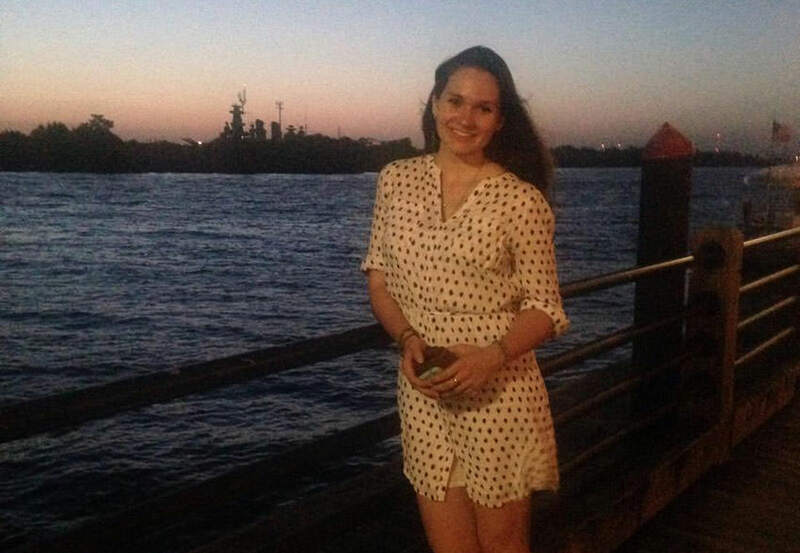 Lauren is pursuing a Bachelor of Science in marine biology at the University of North Carolina at Wilmington. Under the guidance of Alain Duran and Beth Dieveney, she spent her summer finding out how herbivores and nutrients affect algal species interactions in Florida Keys National Marine Sanctuary. 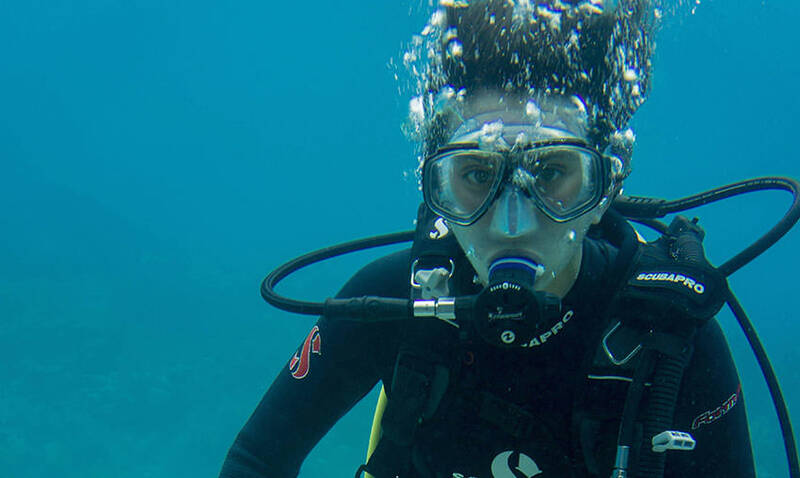 Lauren learned how to process photoquadrats and gained field experience while scuba diving in the sanctuary. She ultimately developed a better appreciation for species on lower trophic levels and hopes to continue learning about ecological connections. Riley is a rising senior at University of San Diego majoring in mathematics with a secondary education emphasis. 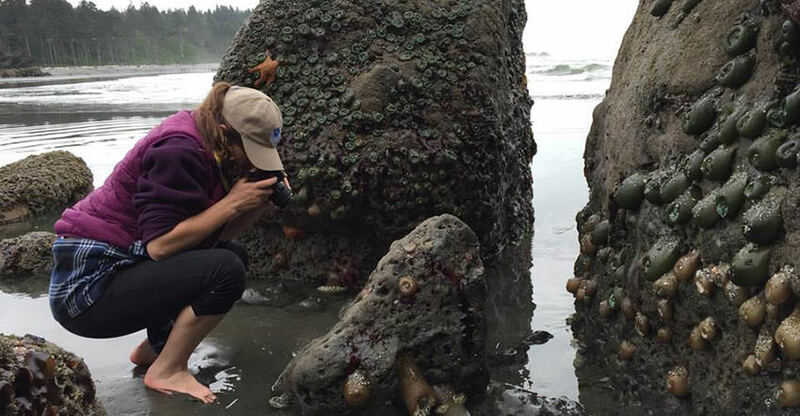 This summer at Olympic Coast National Marine Sanctuary, she used inquiry-based learning methods to develop and implement marine science camps. Under the guidance of Jacqueline Laverdure and Nicole Harris, Riley led three four-day camps for children between the ages of five and 15. Designed to encourage the next generation of ocean stewards and inspire a desire to learn more, the camps worked toward NOAA’s mission of healthy oceans and Olympic Coast National Marine Sanctuary’s goal of promoting understanding through education. Anita is a rising senior at the University of North Carolina at Wilmington studying marine biology, oceanography and chemistry. 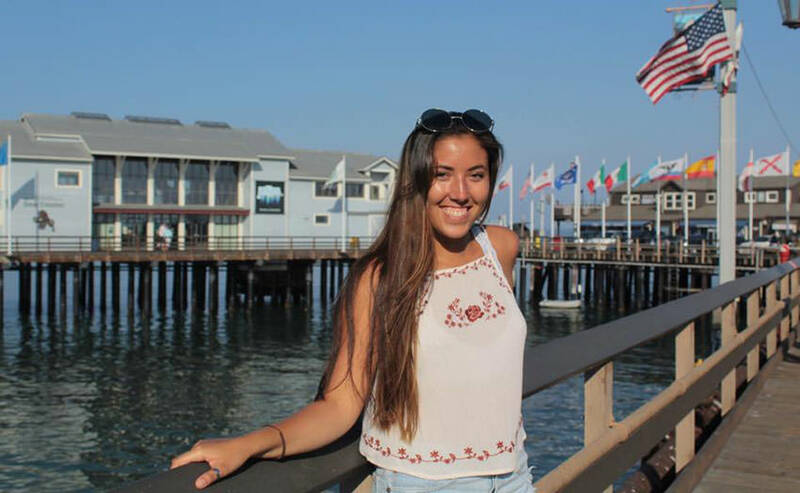 This summer, Anita interned at Channel Islands National Marine Sanctuary under the mentorship of Chris Caldow and Ryan Freedman, where she distilled complex scientific information for the general public. Anita compiled information on the record temperature anomalies in the Pacific, a phenomenon scientists have referred to as “the Blob,” as well as on the Refugio oil spill. She also worked on the sanctuary’s condition report and designed a method to display scientific uncertainty. Anita is hopeful that her work can set a precedent for future national marine sanctuary condition reports. 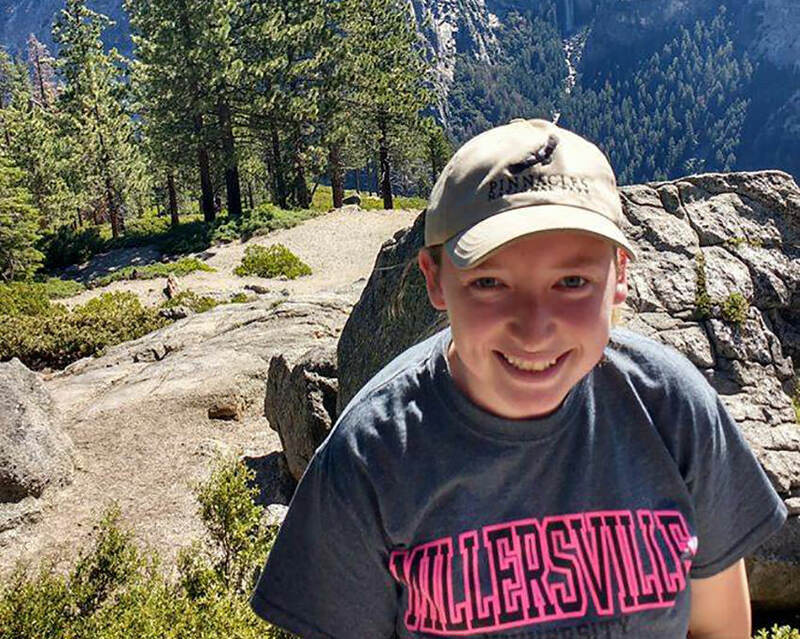 Sylvia is a rising senior at Millersville University of Pennsylvania studying Earth and space science education with aspirations of becoming a middle school science teacher. She spent the summer interning with Dr. Danielle Schwarzmann and Seaberry Nachbar studying the personal value of the Ocean Guardian School program. Her research will help determine the value of other educational programs run by NOAA, as well as help to keep funding for programs like the Ocean Guardian School program for years to come. Sylvia also researched and put together teacher resources for future Ocean Guardian Schools. While working with the Ocean Guardian School program, Sylvia also learned about the impact environmental education has on increasing students’ self-esteem and confidence, the change it can bring to communities, and its ability to instill a passion in students for learning, science and the ocean. She hopes to take what she’s learned from the Ocean Guardian School program and the Office of National Marine Sanctuaries into her classroom in the future. As a double major in biology and Chinese at the University of South Carolina, Angela combines her interests into a passionate curiosity toward invasive species. This summer, Angela put her passion into practice during her internship at Monterey Bay National Marine Sanctuary as she began “undoing the Undaria.” In her project, she identified better management practices for the invasive brown algae Undaria pinnatifida by mapping hotspots of past Undaria appearances in Monterey Harbor and conducting an experiment that determined the best ways to remove Undaria from the harbor. In the future, Angela plans to pursue a career researching introduced species between Asia and North America. 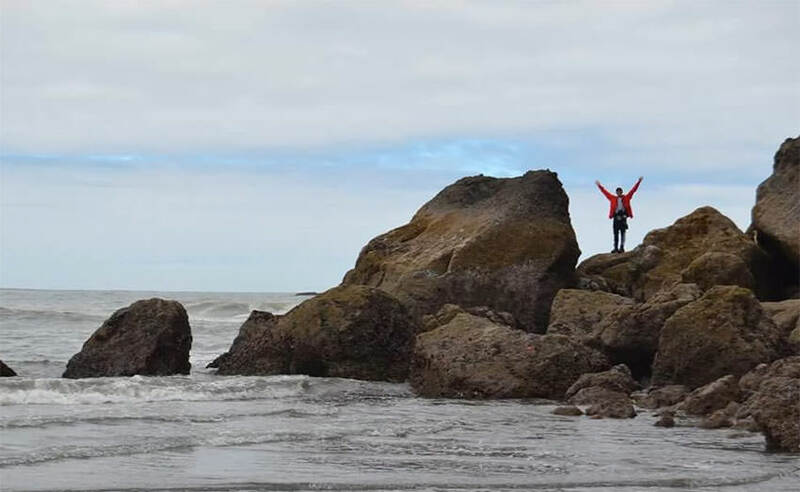 An oceanography major and geology minor at the University of Washington, Lauren spent the summer developing and leading two Junior Oceanographer camps and one marine-technology-themed camp at Olympic Coast National Marine Sanctuary. With the support of mentors Jacqueline Laverdure and Nicole Harris, Lauren carried out her project “Get in the Zone: Education of Ocean Literacy Through Inquiry-Based Learning.” Her Junior Oceanographer summer camps helped to support ocean literacy in the Olympic Coast National Marine Sanctuary area by providing hands-on sanctuary-related activities. 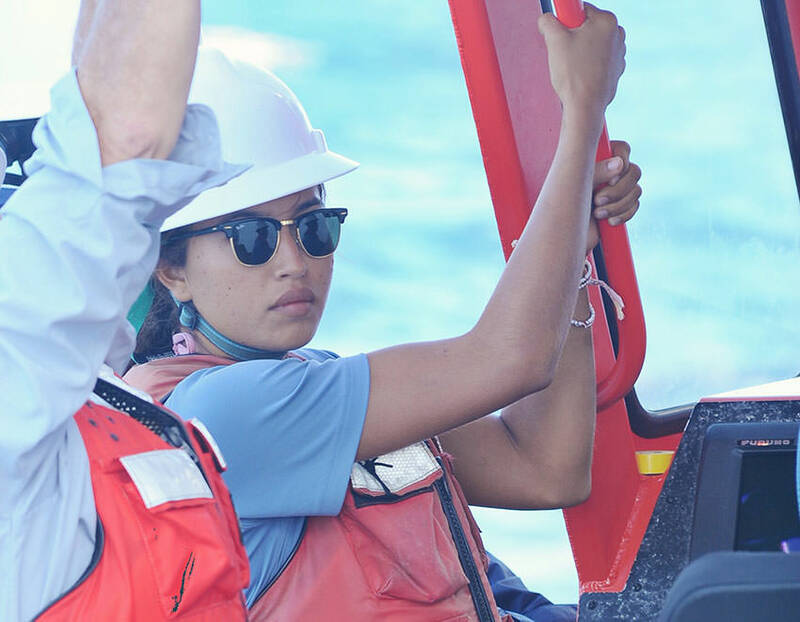 A rising senior at Bowdoin College studying environmental studies and Earth and oceanographic science, Cameron spent the summer working in Papahānaumokuākea Marine National Monument under the mentorship of Dr. Daniel Wagner. As part of her project, Cameron quantified the abundance and distribution of benthic organisms in mesophotic coral ecosystems across the entire Hawaiian Archipelago during two 2015 expeditions aboard the NOAA ship Hi’ialakai. Additionally, she participated in the 2016 research expedition within the monument. Cameron plans to continue her research with Papahānaumokuākea Marine National Monument as an honors thesis at Bowdoin College. 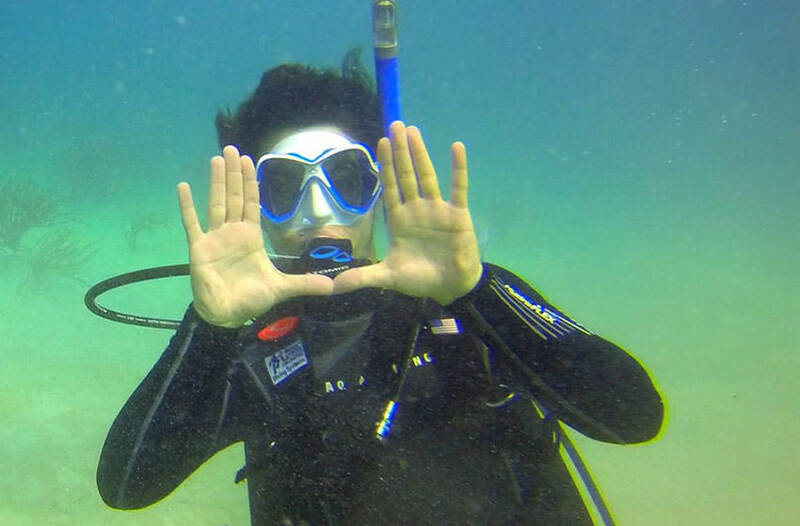 Kevin is a rising senior at the University of Miami majoring in marine science and biology with a minor in chemistry. This summer, under the mentorship of Toni Parras, he spent nine weeks with Papahānaumokuākea Marine National Monument working on a project titled “Papahānaumokuākea Marine National Monument: Bringing the Place to the People.” This year, the monument celebrated its 10-year anniversary, and Kevin’s project aims to communicate the significant accomplishments made in research, management and conservation to a global and largely non-scientific audience. Kevin compiled and edited two videos, one about marine debris and the other about wildlife saved in the monument, as well as a short animation introducing the location and significance of the monument that will be widely used in outreach and education efforts.